Kesterson’s Cleaners was fighting a leaking roof with plastic hanging from the ceiling to direct the incoming water to buckets and garbage cans. The building was a flat roof, with only three scupper drains at outside corners. 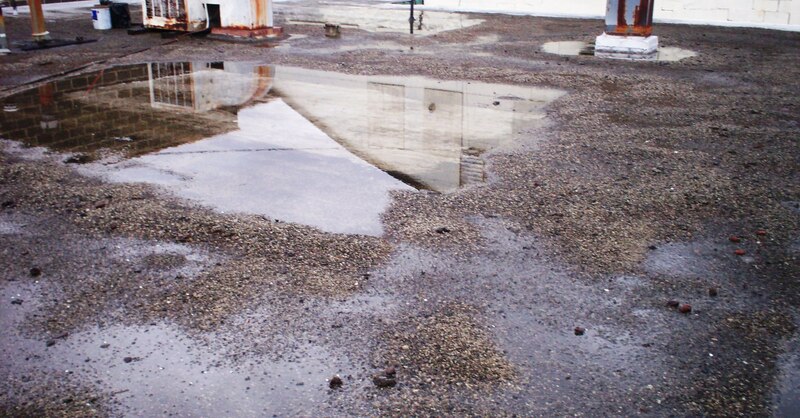 The middle of the roof had settled and had multiple large “ponding” areas holding as much as three inches of water. When it rained the roof would leak for days. There were also leaks around old, no-longer used mechanical equipment and exhausts. Past repairs had at times temporarily inhibited the flow of incoming water, but had deteriorated to the point of being useless. 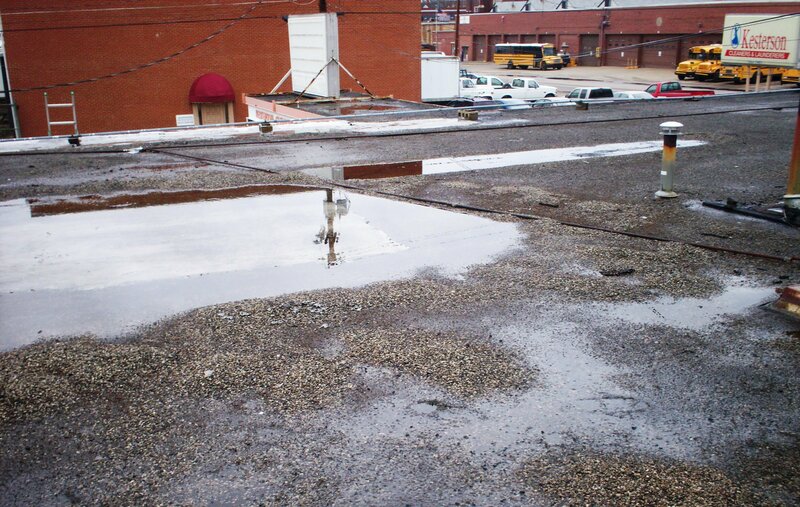 The biggest challenge was to reduce the deep “lake” areas in the roof and improve drainage. It was decided that this was the perfect opportunity to remove old, unused mechanical equipment, exhausts and signage and seal those areas. 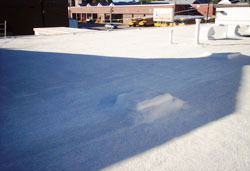 The goal was to both eliminate leaks and enhance the appearance of the building. 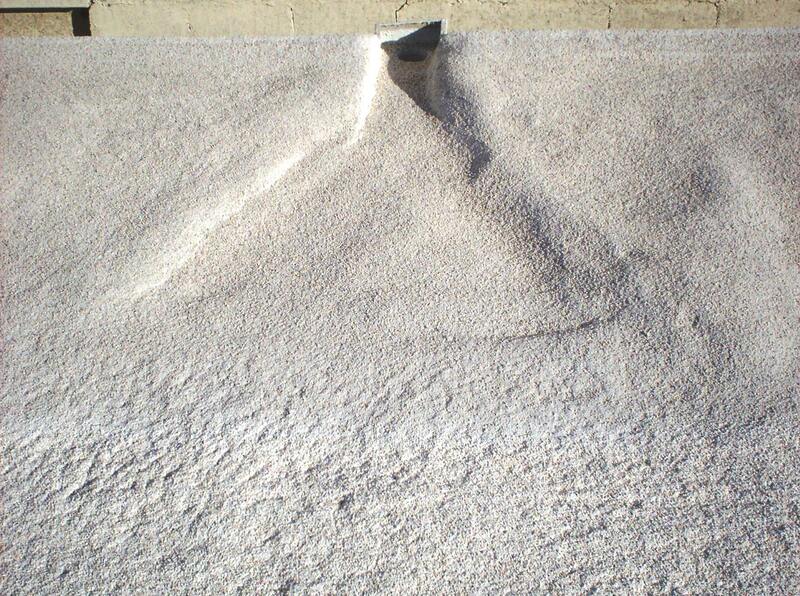 Additionally, steps needed to be taken to overcome the poor roof design with only three drains at remote points. 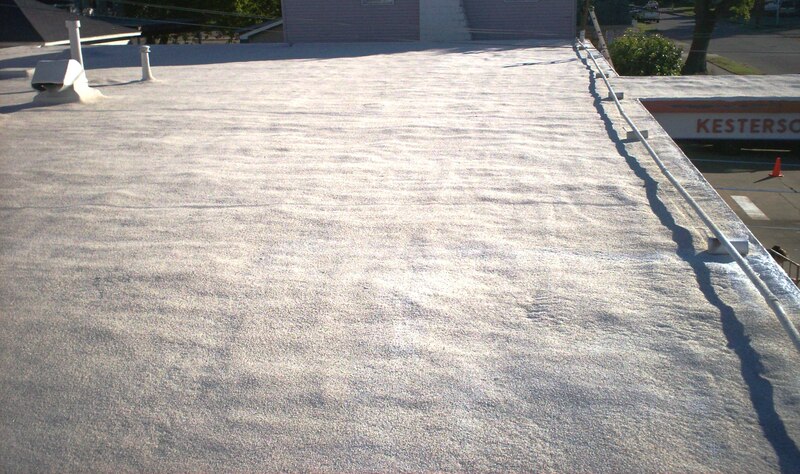 The customer wanted a roof system that would give them long-life with minimal maintenance requirements. 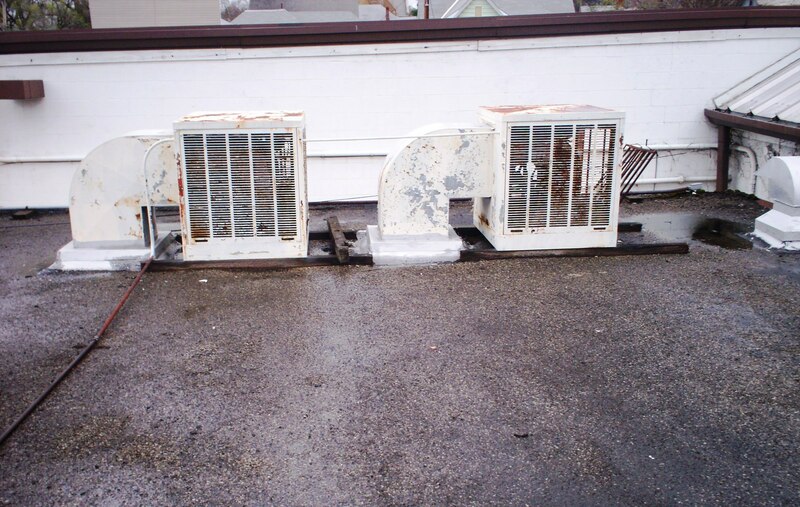 The roof prep included removal of old, unused mechanical equipment, signage and vent pipes. 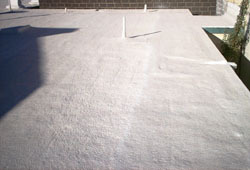 The roof was cleaned, caulking done at various points and readied for foam application. 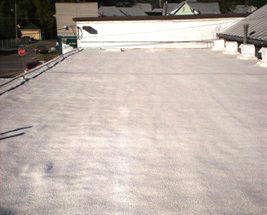 Additional scuppers were added at multiple points on the roof. 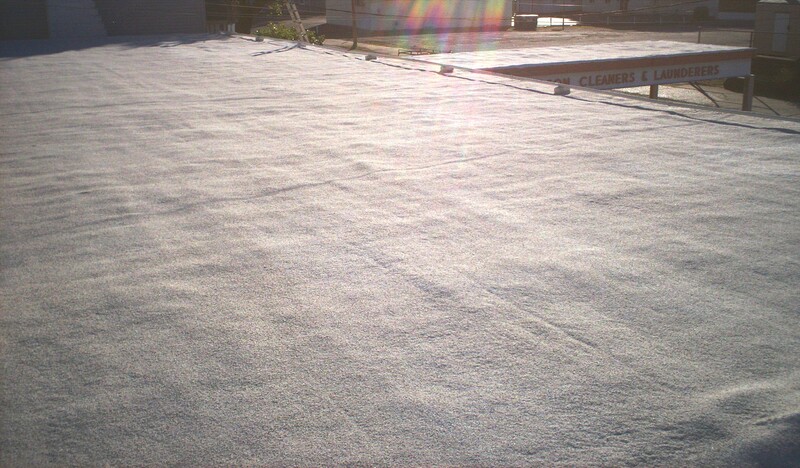 Lapolla foam was applied to the roof, filling in low spots as needed (more than three inches of foam in some spots) and basins built into the foam at some scuppers to improve drainage. Sesco granules were embedded into the top coat to provide added durability, improve appearance and extend the life of the coating. The customer is thrilled. The plastic has been removed from the ceilings and employees are pleased at their new no-leak environment. The appearance of the roof has been dramatically improved. Inspection after rains has shown that the basins and scuppers and the change to the topography has eliminated the lakes that existed previously. The customer is anxious to see how the increased insulation impacts his energy costs and the comfort level for his employees. He is looking at using the foam roof system for other buildings in the future.